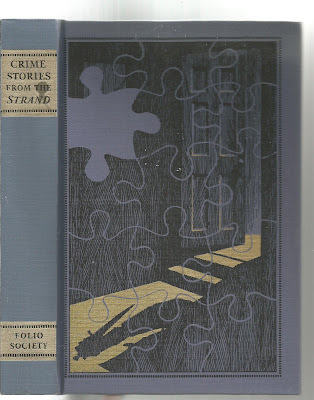 This is a Folio Society edition containing 18 crime stories published in The Strand magazine between 1891 and 1942. Included are two Sherlock Holmes's, two Agatha Christie's, the only detective story written by Rudyard Kipling, G.K. Chesterton, Edgar Wallace and my favourite from this anthology by Margery Allingham. An excellent collection of tales with a great preface by the Editor who gives a run down on what a fine magazine The Strand was.